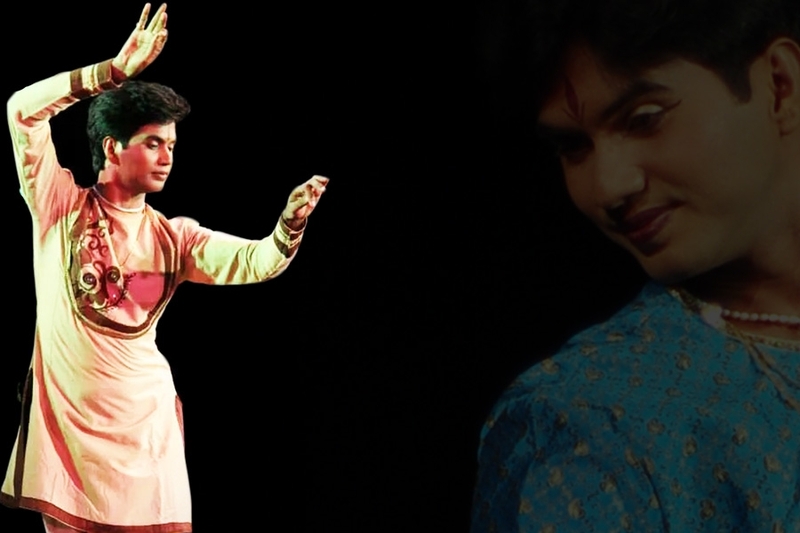 Born in a family devoted to music, Sandip has started Kathak Dance Training under the tutelage of Srimati Srilekha Mukherjee.Continuing the talim from his Guru, he also got in-depth “talim” from Pandit Birju Maharajji, Pandit Ram Mohan Mishra, Pandit Chitresh Das, Guru Bela Arnab, Guru Bandana Sen, Srimati Saswati Sen and Pandit Vijai Shankar, all luminaries in Indian Classical Dance scenario. He has also undergone “talim” of rhythm from Pandit Kumar Bose. The “talim” obtained from different stalwarts in the Classical Dance arena along with his own innovative imagination, has given Kathak Dance a new dimension. Academically, a first-class Post Graduate in Dance from Rabindra Bharati University, Kolkata and Bachelor of Commerce (Hons.) from The University of Calcutta. Nritya Prabhakar, Visharad and Upadhaya (with Gold medal). Sandip is also an auditioned artist of Doordarshan and an empanelled Artist of I.C.C.R. He stood 1ST in the kathak competition conducted by W.B .State Music Academy and Doverlane Music Conferance . Sandip has got the production grant from the Govt. of India, department of tourism & culture for his production ‘Nritya Darpan’. Three students have got scholarship from Ministry of Culture Govt. of India and one student is getting scholarship from CCRT. Sandip has performed in several dance festivals in India, some of which has been organized by the West Bengal State Music Academy, WBDGF, EZCC, ICCR, Sangeet Natak Academy (Sarnya Nritya Pratibha, 50 years of SNA) , Anamika Kala Sangam, Ministry of Cultural Affairs of Government of Andhra Pradesh, Kathak Kendra, New Delhi, Dover Lane Music Conference, Nattanjali2010 sponsored by SNA(Chidambarahm & Tirubaror),Virasat in Lucknow,,Nritya Bharati Pune,Guru purnima Festival Patna,Uday Shankar Dance Festival (3times solo, twice with group),Kalanand Nasik among others. Solo Kathak with Pt. Kumar Bose(2005) and Ustad Sabir Khan(2010)on Tabla. Vasantutsava 2007 (70th Birth Ceremony of Pt. Birju Maharaj) one of the four mail soloists. He has also given his dazzling performance in several places of United Kingdom namely London, Birmingham, Leeds, Yorkshire, Telford, Bolton, Manchester and many other cities in North England during his tour in U.K., Italy, Czech Republic and Germany,Canada,Singapore since 2002. He has a wide exposure of working with the Flamenco Dance, while working with Sujata dance Company, London. He has also performed as the lead artiste in the project “Namaste Greetings” from India under the Annapurna Indian Dance Company, Yorkshire. Participated as a Soloist in the international Kathak festival KATHAK AT CROSS ROAD, at San Francisco, USA in september 2006, among with other dancers like pt Birju Maharaj, Kumudini Lakhiya, Pt. Chitresh Das, Pt. Rajendra Gangani, Smt. Saswati Sen and many others. Played the role of Shiva and Nakula in Mahabharata (a production by Kalapi Jani and Sadler's Welles, London) toured all over UK during March -July, 2007. Directed by Stuart Wood, choreographed by Gouri Sharma Tripathi, music by Nitin Sawhney. Sandip has choreographed many group ballets like KHOJ,ANANTA PRABAHA,ALINGAN,NRITYA DARPAN etc. His theme based solo choreographic presentation "Upalabdhi" has been highly acclaimed and appreciated by the connoisseurs everywhere it was staged. The presentation reflected a perfect composition of Spiritualism, Philosophy mixed with traditional Kathak Dance. SUDDH,PURUSH,SHANTI BHAVNA are other solo presentation. Sandip has formed 64 types of BASIC MOVEMENTS AND STEPS(like Aadows) OF KATHAK DANCE for the STUDENTS. Teaching Kathak in his own institution NADAM since 1993,Joined PADATIK in 2003 as a senior teacher,Kathak instructor in THE HERITAGE SCHOOL,Kolkata from2005. Conducted kathak workshop in different parts of India and UK,Canada, Singapore, Czech Republic,Italy,Germany. Copyright © 2019 Sandip Mallick- All Rights Reserved.